“Though lovers be lost love shall not; And death shall have no dominion.” — Dylan Thomas. I am constantly reminded of this as I travel through life. There is no death. Only Life – constantly changing from one form into another and continuing to go on. 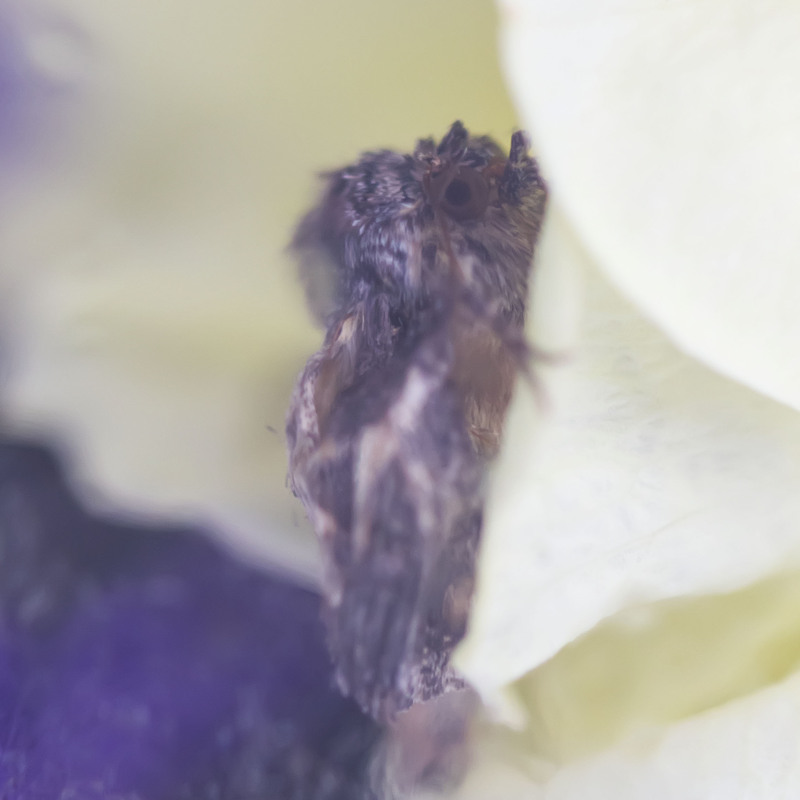 Where an animal died, flowers will grow, and when the flowers are gone, insects will live and eat what’s left of them. In any event, Life will always win. And dear ones we have lost, have a way to come back to us – in one form or another. We just have to keep our eyes open and notice them when they return. A few weeks ago we had a pet butterfly. He came to us on New Year eve as a little green caterpillar, which we found in our dill when cooking a New Year dinner. It is a miracle he did not freeze to death when sitting in the fridge in this dill bag. We took this miracle as a sign – and kept him. In the beginning of February he turned into a butterfly – and we saw that we were right. Ken used to have a little dog called Sparky whom he loved very much. When we saw the butterfly, we saw that there was an obvious anatomical similarity between them. They basically had the same face, especially their eyes. I did a research and found out that butterflies of his kind never have such big brown eyes. But that similarity went way beyond just the appearance. Their habits and what they liked were very similar as well, for example both loved to play with a stick. Butterflies of his kind live for a week (7 days). He stayed with us for eight and a half days, for which we are very grateful. They were filled with love, and it was wonderful to have our little friend with us. And I know that he will come back to us – in one form or another. By the same token, my cat has my Doberman’s eyes – amber, with dark green, dark red, and chocolate dots. He thinks he is a dog, wags his tail, hates other cats (regardless of gender) and loves dogs. He also loves to play with a stick – a strange habit for a cat, don’t you think?.. He was born when the Doberman died. 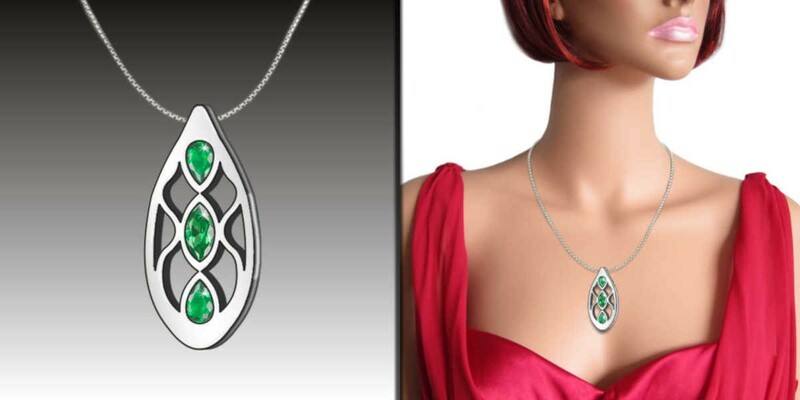 This hope and this knowledge were what inspired me to create my Only Life pendant design. I analyzed shapes and forms of various plants and animals – and combined them into one fluid organic design. 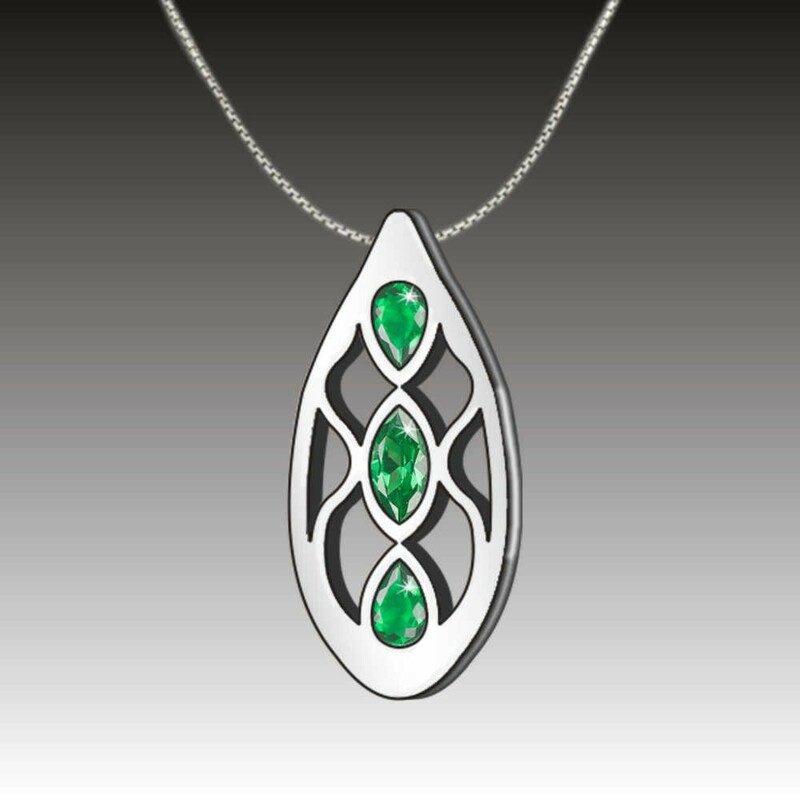 As I prepared this design for the Enchanted Emerald challenge by Mejuri, I thought that emeralds were a perfect stone for it – green, fresh, and alive as Life itself. I love emeralds; we all do in my family. My engagement ring which Ken gave me before he married me has an emerald in it, instead of the traditional diamond. As I entered the challenge literally at the last minute, I did not have a time to explain the true meaning of my design in its description. That is why I wrote this – to let you know what meaning it has for me and where its name comes from. 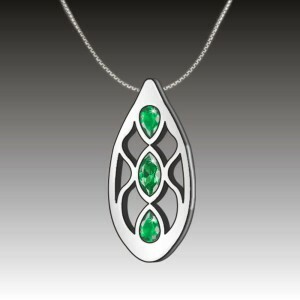 You can vote for my design here: www.mejuri.com/designs/176-only-life. Voting will close after April 4th. When you vote, you are entered into a drawing for a $200 gift certificate kindly provided by the Mejuri company. 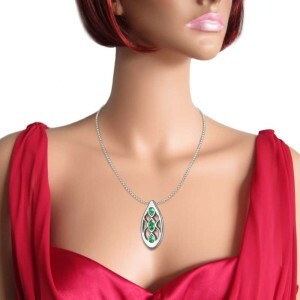 This company was, too, created out of Hope and Dream to provide public with beautiful and affordable fine jewelry and to provide jewelry designers with means to earn from their designs and gain recognition. A winning design is manufactured and sold in the cool Mejuri store with designer receiving 10-15% of every sale. I want to thank everyone who has already voted for my design. And I want to wish all of you to never lose hope and to always have your dear ones come back to you. There is no death. Only Life. Very pretty elegant design! There were other nice things, but I liked yours the most! Thank you, Otis, I appreciate that! This was a very touching story. And design is very lovely. I voted for you and wish you to win. This is such a good design. I made sure to vote for you! Yippie!! 🙂 Thank you so much! I loved this design so much. When are you going to come out here to teach a class for us? You know Nadine and I would love to make something like this. Good luck in your contest. Beautiful as everything you make. Your very gifted. I’d love it with black stones. We love your designs with Jeff. It’s hard to amaze him but he sais wow when he saw it :). Good luck, dear! Glad to say I have joined the crowd and voted for you. Hope you win and best of luck!